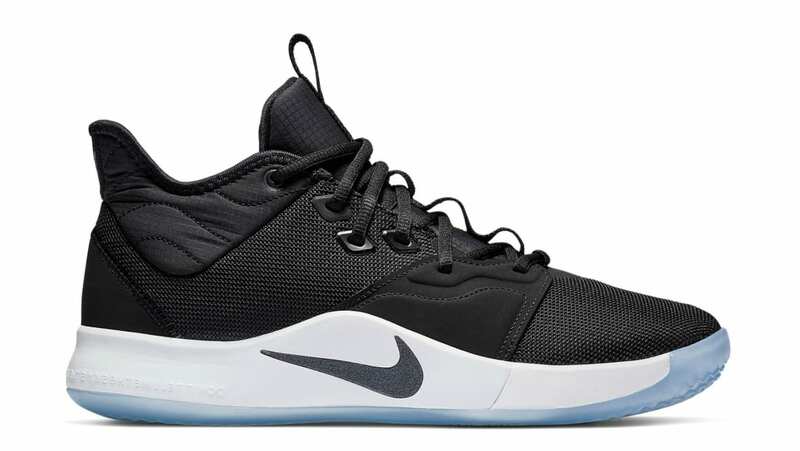 A simplistic colorway comes to the Nike PG 3 featuring a black mesh upper with tonal synthetic overlays surrounding the midfoot, nylon panels on the ankle collar and tongue. The upper sits atop a white midsole with a black Swoosh branding and an icy blue outsole. Release date is Feb. 1, 2019 at a retail price of $120.